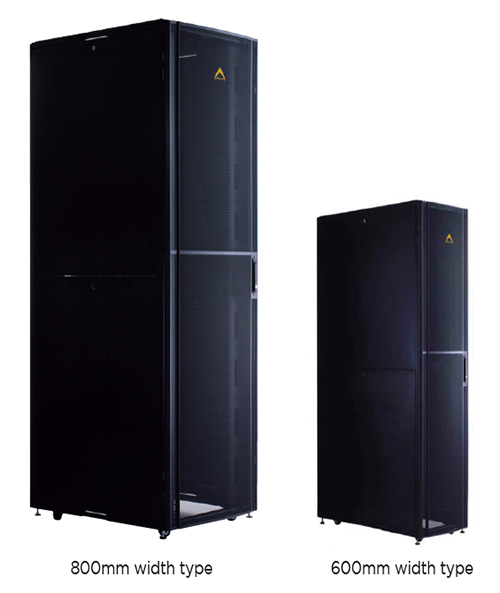 The 19 inch rack suitable to cabling and mounting of network equipment in Data Center. 600mm width and 800mm width types available. The height can be choosen from 42U, 45U and 47U types. Light weight and strong structure. Split level side panels for convenient access to installed equipment. Dimensions conform to EIA-310E, IEC-60297-2. Tested to salt spray under ASTM-D610-01 and ASTEM-B117. All materials comply to RoHS requirement.